WASHINGTON (AP) — The Senate backed key players of President Donald Trump’s national security team on Wednesday, confirming his pick for intelligence director and clearing the way for an active-duty Army general to serve as his national security adviser. Minutes later they voted 86-10 to re-appoint H.R. McMaster as a three-star general “to a position of importance and responsibility.” National security advisers aren’t subject to Senate confirmation. But McMaster elected to remain in uniform rather than retire from military service, and generals of his rank need the chamber’s approval when they’re promoted or change assignments. 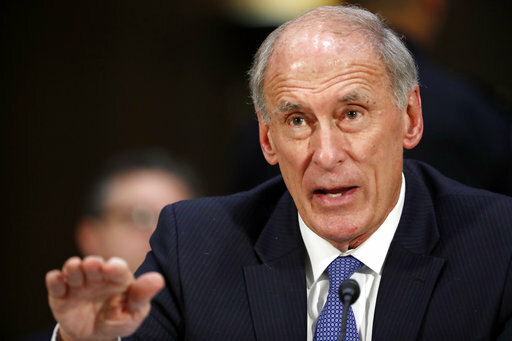 As the Trump administration’s top intelligence official, Coats will oversee 16 intelligence agencies that have, at times, been criticized by Trump, who has disparaged them for past failures and their assessment that the Kremlin interfered in the election in the president’s favor. Coats also will be a key player in the government’s ongoing investigation into Russia’s interference in the 2016 election.